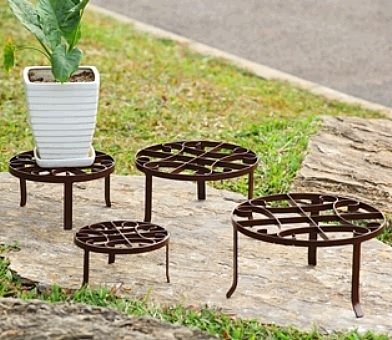 Our set of garden plant trivets come as a set to coordinate with your home and garden projects. This set features classic designs replete with rich details and handwork. Made of cast iron. Dimensions: Larger measures 4"H x 12" x 12"